As you may know, in the game of Go Fish, players must give their cards to others when asked for it. While they had played this game several times before, this time something new happened. 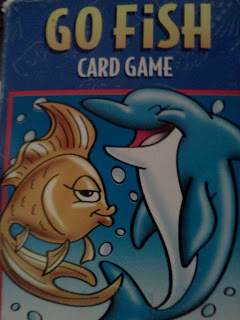 They wondered: Does "go fish" prinicple apply in real life? Will people give away something when they are asked for it? Goal of the experiment: Test if the "Go Fish" principle applies in real life. Meet your child's first teacher ... you. By Moni Singh, Founder and CEO of STEM For Kids. Mrs. Singh (aka Ms. STEM) offers a unique perspective on innovation in education through her three lenses: as a mother of elementary age children who is strongly focused on making STEM fun for kids; as an engineer and a technologist who has brought several technologies to the market, from wireless phones to smart meters; and as a business executive who understands through her work across global organizations that success in the 21st century requires skills in addition to pure technical competence.